For divers, getting up close and personal with marine life in its natural habitat makes for a dive that won’t soon be forgotten. One of the most beloved of marine creatures is the graceful manta, and if you’re lucky enough to see these large beings glide and somersault through the sea, you’ll be left in awe. 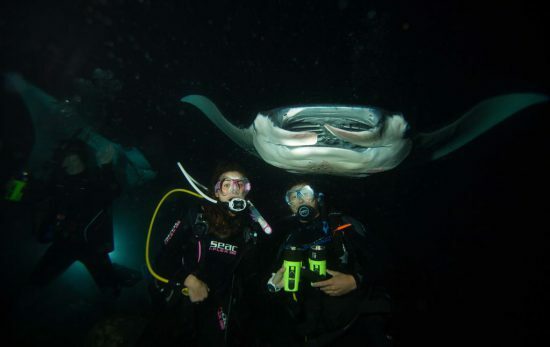 Increase your odds to scuba dive with manta rays by visiting one of these manta ray hot spots. The world’s largest reef system offers many fantastic areas for encountering manta, but one of the best has to be Lady Elliot Island. Don’t let this small island with a single eco resort and airstrip deter you; it’s renowned for its snorkeling and scuba diving potential (there’s even a PADI dive center there). 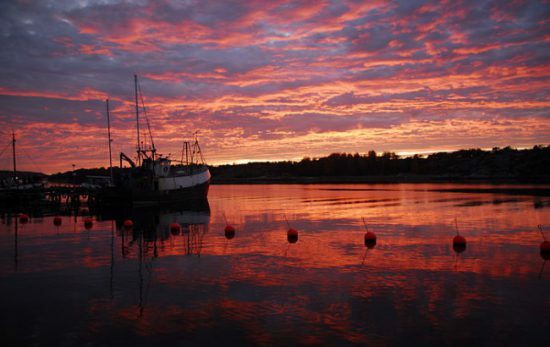 Manta flourish during the fall and winter months, so plan a trip during these periods. Recently a fascinating study of daily manta life was released based on three years of observations from locals and researchers from the University of Queensland – all of which focused on Lady Elliot Island. Sprinkled in the Indian Ocean are 1,192 islands that make up the Maldives, 192 of which are inhabited. 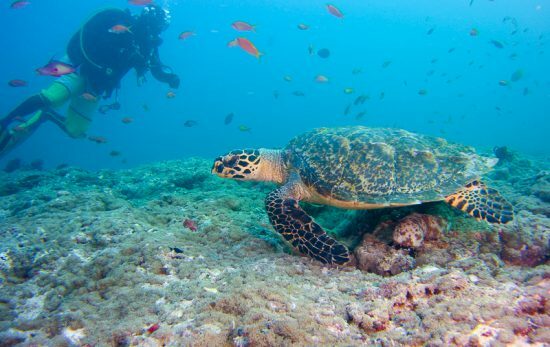 These islands feature plenty of coral and calm lagoons, perfect for thriving underwater life. During the southwest monsoon season, from May to November, manta frequent the islands to feed and visit cleaning stations. Divers during this time are typically rewarded with seeing not just one, but many manta of various sizes – a once-in-a-lifetime dive experience. 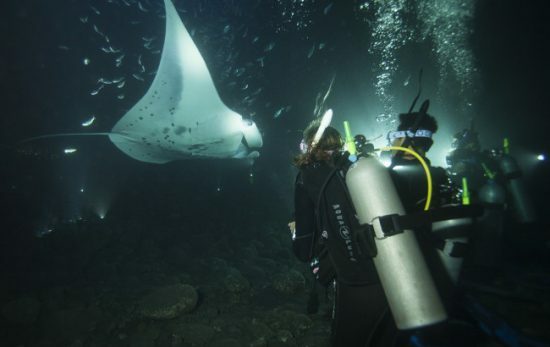 Hawaii is well-known as a scuba diving destination, but a trip to the Big Island offers ample opportunity to make friends with manta: year-round! 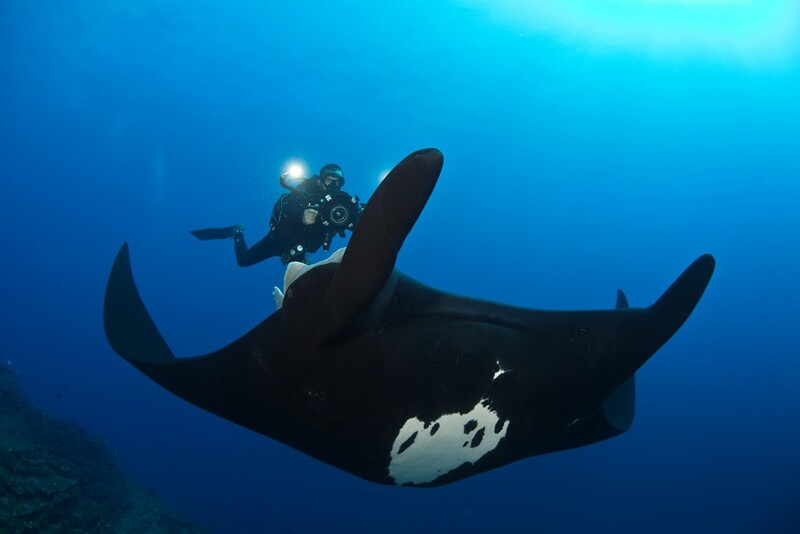 For an especially unique experience, consider a manta night dive. As you descend under the water, you’ll be armed with a flashlight that attracts plankton. Manta feed on the plentiful plankton, providing divers with one of the best visual spectacles they’ve ever seen. Mantas can be hit or miss in many parts of the Galapagos Islands, but when you visit Cabo Marshall off the northeastern shore of Isabela Island, seeing manta is practically guaranteed. As you explore the black coral, you’ll be able to check a number of amazing ocean creatures off your dive list – hammerhead sharks, white-tipped reef sharks, pufferfish, parrotfish, and of course, the well-adored manta. Keep in mind, Cabo Marshall is not accessible by land, so schedule a live-aboard dive boat excursion. Divers around the planet spend a lifetime dreaming of a trip to Yap, a cluster of islands in Micronesia. If you’re willing to make the trek to this quaint location steeped in ancient tradition, you’ll be rewarded with rich marine life including many manta rays. The area’s crystal clear water and underwater drop-offs make it a premier area to see manta in their natural habitat on a daily basis. 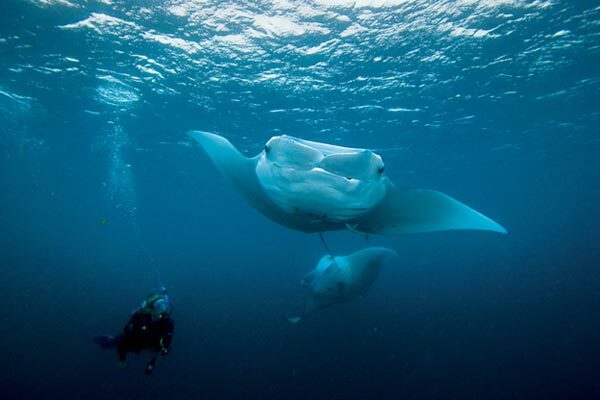 When the trade winds blow from November to May, manta dives are popular at Mi’il Channel. 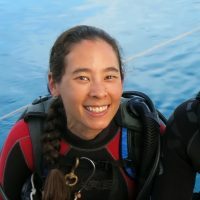 In the summer, manta dives are done in both Mi’il and Goofnuw Channels. Order a limited-edition Giant Pacific Manta card for your next PADI certification or as a replacement card.